Opportunity Knocks! 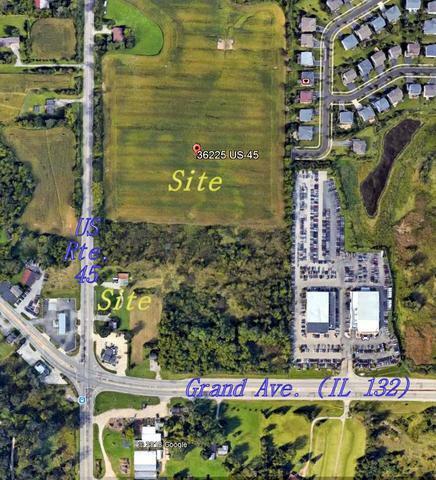 20.96 acres with frontage on both Grand Ave. & Rte. 45 now available for sale. Fabulous 5 mile demographics at this intersection include a general population of 128,755, daytime population of 105,295, median household income of $90,788, and average household income of $111,882. Combining those statistics with traffic counts in excess of 33,000 vehicles per day insures success! Imagine this site's possibilities for your company's success! This listing can be combined with adjoining properties to make a larger parcel.